In the end, our listeners preferred the pageantry and brilliance of George Frederic Handel's Music for the Royal Fireworks. 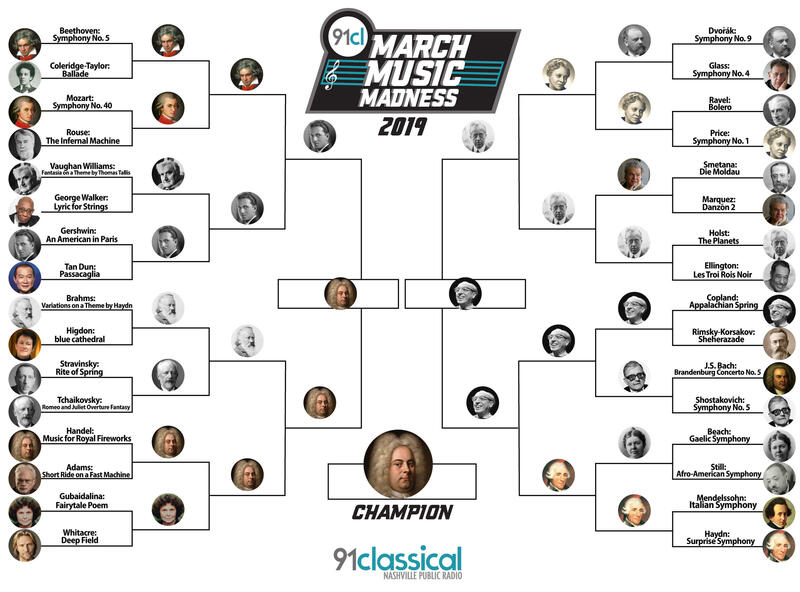 Thank you for voting - we are already deciding what subgenre of classical music to build our bracket from next year. Music for the Royal Fireworks is the champion of March Music Madness 2019.